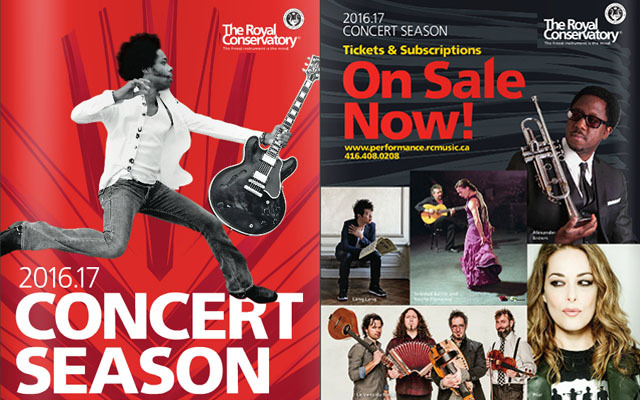 The Royal Conservatory of Music’s 2016-17 concert season begins a year-long celebration of Canada’s sesquicentennial. Over 100 concerts will be presented and more than 70 of those will feature Canadian artists. The Royal Conservatory of Music’s Season Gala on Tuesday, October 18, will feature superstar pianist Lang Lang, who inspires millions with his open-hearted, emotive piano playing. He has been heralded as the “hottest artist on the classical music planet” by The New York Times and Time magazine has included him in its list of the 100 Most Influential People in the World. The concert and Gala dinner are sold out. Known as a “pianist with Rock God tendencies”(Daily Telegraph) Ludovico Einaudi’s unique musical alchemy draws on elements of classical, rock, electronica, and world music. Both concerts – on October 13 and October 14 – sold out almost immediately. Presented in association with the Istituto Italiano di Cultura. There is still a chance to see these artists! A limited number of BMO Rush Tickets will be available 90 minutes before curtain on the day of each concert, but patrons are encouraged to check with the box office first and come as early as they can to line up. As part of the Bloor St. Culture Corridor Hub of Culture Days, The Royal Conservatory presents three free events: Gábor Takács-Nagy conducts the Royal Conservatory Orchestra with Rossina Grieco on September 30, Koerner Hall Free for All on October 1, and Allison Au Quartet on October 2. The Royal Conservatory Orchestra (RCO), widely regarded as an outstanding ensemble and one of the best training orchestras in North America, will be conducted by Gábor Takács-Nagy, Music Director of the Weinberger Kammerorchestra, Verbier Festival Chamber Orchestra, and MAV Symphony Orchestra, and Principal Artistic Partner of the Irish Chamber Orchestra. The concert program consists of Schumann’s Symphony No. 4 and Rachmaninov’s “Vocalise” as well as Piano Concerto No. 2, played by Rossina Grieco. Grieco was recently awarded the Ihnatowycz Prize in Piano at The Glenn Gould School, under the guidance of John Perry and James Anagnoson. The wildly popular Koerner Hall Free for All is back! In 2014, The Conservatory offered the opportunity for anyone who ever dreamed of performing on the Koerner Hall stage to do just that – for five minutes – and the schedule was packed. This year the event is back, with aspiring and professional musicians enjoying their five minutes of glory. Acoustic performances are between 12 noon and 3pm and amplified performances from 5pm to 8pm. For those unable to come in person, the event will be available on the “Live at Koerner Hall” Livestream, www.rcmusic.ca/livestream. The Conservatory’s new free Sunday Interludes concert series starts with 2016 Juno Award-winning saxophonist, composer, and arranger, Allison Au, and her quartet performing in Mazzoleni Concert Hall, located in historic Ihnatowycz Hall. As has become customary since the inaugural season of concerts in Koerner Hall, Mervon Mehta, Executive Director of Performing Arts, curates jazz concerts around a particular theme, and this season it is the art of the jazz trio. From Nat King Cole and Oscar Peterson to Keith Jarrett and Brad Mehldau, the trio is one of the most enduring formats in jazz. Over five concerts this season, The Royal Conservatory will present 10 groups – each night featuring one international trio and one Canadian trio. 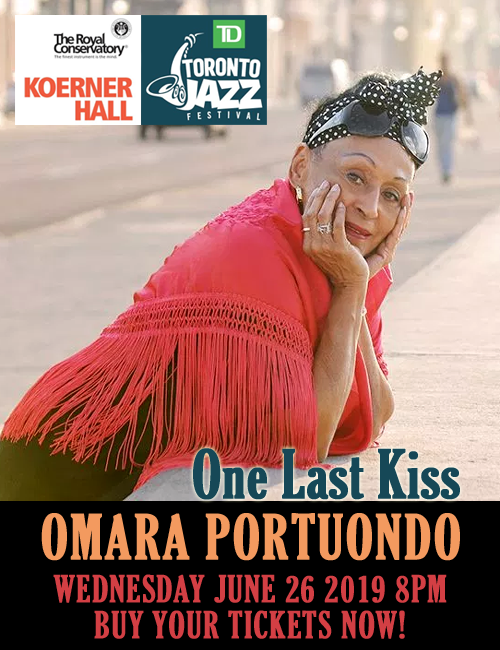 The series begins on October 29 with Kenny Barron Trio & Robi Botos Trio. “One of the top jazz pianists in the world” (The Los Angeles Times) Philadelphia-born pianist Kenny Barron is a six-time recipient of Best Pianist by the Jazz Journalists Association, who has recently released his latest trio recording, Book of Intuition. He will be accompanied by Kiyoshi Kitagawa on bass and Johnathan Blake on drums. Hungarian-born Romani musician Robi Botos, a Koerner Hall favourite, is a disciple of Oscar Peterson’s mighty sense of swing and technical virtuosity. His latest CD, Movin’ Forward, won a 2016 Juno Award. He brings with him Mike Downes on bass and Larnell Lewis on drums. Spanish flamenco guitarist José Fernandez Torre, or “Tomatito” (little tomato), mixes flamenco with a tasty blend of jazz, Brazilian, and Turkish music. He won a Latin Grammy for the album Aguadulce, a tribute to his birthplace, and he makes his Koerner Hall debut on October 28. The world-renowned Kyiv Chamber Choir is the foremost presenter of Ukrainian choral music’s hidden treasures. With Founder/Conductor, Maestro Mykola Hobdych, they will perform The Sounds of Ukraine- sacred music written by master composers and beautiful folk songs adapted and arranged by some of Ukraine’s most talented contemporary composers. Presented in partnership with Platinum Concerts International, the Choir appears in Koerner Hall on October 30. Mazzoleni Masters concert series opens with a concert titled “Paris Connection” on September 25, with violinist Atis Bankas. Bankas, leader of the Ensemble CamerAtis, first violinist of the Gould String Quartet, and founder and Artistic Director of Music Niagara, brings together pianist Michael Berkovsky, bassist Bob Mills, and drummer Lorne Grossman to perform music by Ravel and Gershwin/Frolov, as well as Claude Bolling’s Jazz Suite. On October 30, for her 80th Birthday Celebration, harp virtuoso Judy Loman will perform works by Salzedo, Renie, and Canadian composers whom she has commissioned throughout her illustrious career. This concert also launches her R. Murray Schafer compilation CD on the Centredisc label. As part of Mazzoleni Masters – Songmasters series, soprano Nathalie Paulin, who is “deeply appealing in voice and stage presence,” (The Washington Post) and soprano and Songmasters curator Monica Whicher explore “Welcome and Adieu,” the far-reaching beauty of English and French songs and duets. Collaborative pianists on October 23 are Robert Kortgaard and Peter Tiefenbach. The Phil and Eli Taylor Performance Academy for Young Artists presents a series of free concerts by the leading young classical musicians in Canada. The fist Taylor Academy Showcase Concert takes place on October 22. The Royal Conservatory’s 2016-17 concert season is made possible through the generous support of: Major & Series Sponsors and Supporters: AIMIA, BMO, Invesco, RBC Foundation, TD Bank Group, David G. Broadhurst, Leslie & Anna Dan, Michael & Sonja Koerner, a gift in honour of R.S. Williams & Sons Company Ltd., Rebanks Family, Dorothy Cohen Shoichet, The W. Garfield Weston Foundation, and an anonymous donor. Performance Sponsors and Supporters: Alexanian Carpet & Flooring, Audi Uptown, Downtown Porsche, Georgian Capital, Tom’s Place, The Cheng Family Fund, Brayton Polka, Deborah Leibow & Ken Snider, Philip & Eli Taylor, and two anonymous donors. Wine & Beverage Sponsors: Inniskillin, Mill St. Brewery, Acqua Panna & S. Pellegrino, Woodbridge. Media Sponsors: Classical 96.3 FM, JAZZ.FM91, NOW, WholeNote, Musicworks. Government Supporters: Canada Arts Presentation Fund-Canadian Heritage, Ontario Arts Council, Ontario Cultural Attractions Fund, Toronto Arts Council.